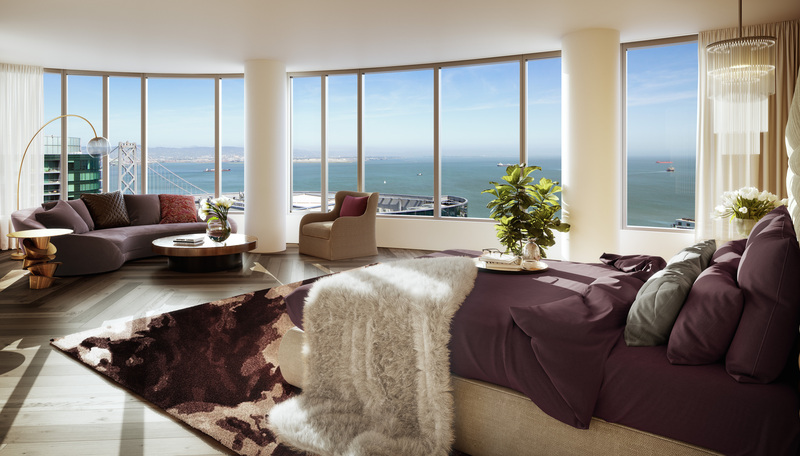 This double-height penthouse at LUMINA is wrapped by a 240-foot glass façade offering gorgeous, 270-degree views of the San Francisco skyline and the bay. The approximately 5,200-square-foot, south-facing residence boasts 18-foot ceilings and an expansive outdoor space. Occupying the 41st and 42nd floor of Tower B, the home features direct elevator access to its front door.